Sometimes a cat or dog just doesn’t fit in with your lifestyle. Maybe you’d prefer something a little bit more low key, or perhaps just the opposite: something demanding and challenging. If either of these situations sound like you, maybe you’d prefer an exotic or unusual pet to add to your home. Before you make the decision to own a non-traditional pet, there are some things you need to know. Make sure that you know exactly how to best care for your pet, if they’ll truly fit into your lifestyle, if you have a nearby vet that can handle them, if you need pet insurance, and what kinds of rules and regulation you might need to be aware of. Birds can be wonderful pets to have around the house, but you have to know how to properly care for one before you decide to take the plunge. Many birds can live for quite a long time, so it’s no small commitment. You’ll also want to make sure that you connect with a vet that has experience with avian species, and not just dogs and cats. In general, birds like to fly around, so if you have the space to let a bird get used to your house, that is a best case scenario — they don’t prefer to be left in a cage too often. As with any other animal, you’ll need to make sure that they are being fed a high quality diet that is specific to their species and particular breed. Birds are also very clean animals, and will need regular baths and cage cleanings. Along with baths, you’ll want to make sure their eyes and beaks stay clear of any debris that could clog their eyes or airways. Additionally, you may need to stay on top of primping their feathers as well. Some birds are great at doing this themselves, but others may need some assistance. You should be able to do this yourself for the most part, but if your bird seems to have any regular issues with their eyesight, airway blockage (or respiratory issues), or their feathers, you may have to take them to a vet consistently in order to maintain good health. As with any other pet, you’ll have to think about where you’re living, if you plan to travel, and who you’re interacting with on a regular basis before you decide to purchase an unusual pet. As a rule of thumb, it’s a good idea to think about neighbors, apartment building regulations, and your travel plans before you commit to any particular animal. That is to say, if you plan on getting a bird, for example, you could receive a noise complaint if your neighbor thinks your pet is being too loud. Your pet can still be held accountable, when it comes to common laws, to a noise complaint violation. In addition, an unusual pet is still a pet; you’ll have to check with your landlord before you decide to bring a bird or other unique pet into an apartment or rented home. Also, exotic pets can be difficult to travel with sometimes, so keep this in mind if you’re planning to move. Small animals may be able to be kept under your seat when flying, but not all pets are able to travel in this way. International travel can also be very tricky. Within the US, certain exotic birds and pets aren’t allowed across state lines and there are specific laws about what kinds of animals can go through country borders. Even if your animal is allowed across borders, you’ll have to make sure they are up to date on all vaccinations and medical checkups. What’s more, if your animal were to injure any person for any reason, you would also be liable. Just as you would with a dog or cat, if your unusual or exotic pet were to bite, scratch, or otherwise harm another person, they could decide to take legal action against you. As such, if you choose to get an exotic animal, make sure that you understand their temperment and that you are well versed in how to handle them and how they should be handled around other people. In relation to birds specifically, many large birds (and birds in general) may not be allowed on a plane, train, or in a taxi. A loud bird could cause issues if you’re living close to a neighbor, like a noise complaint. In addition, you still have to let your landlord know if you’re planning on having an animal in your house, even if it’s a small bird. Most animals can make a mess or be destructive in some way (even if they don’t mean to) and your landlord needs to know if there are damages that could occur due to your animal that they may have to pay to repair. Reptiles and amphibians often thrive at a different temperature and humidity than humans do. This means you’ll have to think about investing in a possible terrarium-like enclosure for their comfort and health. Some species require that moisture constantly be in the air, which would require a humidifier being run all day and night. Others may need a heat lamp in their enclosure, so that their atmosphere stays at a steady warmth constantly. Some reptiles may shed, lay eggs, require constant water changes, and/or need very strict atmospheric consistency in order to live. As such, if you’re thinking about getting a reptile or amphibian for yourself or your child, please make sure that you do your research about the required amount of maintenance for your pet to live a happy life. For these animals, it’s not a choice whether they live under these conditions, it could mean life and death. Speaking of, if your pet ever needs medical care, it can be difficult to find a vet that specializes in reptiles and amphibians. Make sure you have one in your area before you make the commitment. What’s more, many reptiles and amphibians don’t eat a standard diet. As with snakes, most owners must keep a feeding schedule in order to ensure they don’t overfeed or underfeed their animal. Many snakes only eat every week or two. In addition, if you’re thinking about purchasing a reptile or amphibian, you’d have to be comfortable with feeding your pet rodents, crickets, and other insects (frozen or live). This may be an extra expense for the traditional pet owner that can add up over time. As with birds, you may find it difficult to travel with a reptile or amphibian. However, depending on the size, you could potentially get away with putting your pet in a small crate or cage that can be stored away or held in your hands discreetly. If you have a small enough animal to do this, you may be allowed to take your pet on a plane or train easily, but you should still check. Again, you should always disclose if you have a pet to your landlord, even if they are kept in a cage all of the time. Your landlord has a right to know and you could get hit with a nasty fine if you don’t disclose that information. However, if you plan to keep your pet outside of their cage or terrarium, that’s even more of a reason to cover your bases and let your landlord know. Furthermore, if you plan on breeding your reptile or amphibian, your state may have certain laws surrounding this activity. Some reptiles and amphibians that lay eggs are regulated strictly. In addition, if your pet could be considered dangerous or even possibly poisonous, many states are very strict about the reproduction of such species in a home. You’ll likely need to obtain permits within your state before you are allowed to purchase such an animal. Make sure that you acquaint yourself with what types of reptiles and amphibians are actually allowed as pets in your state, let alone your home. Hamsters, Gerbils, and Rodents — Oh My! For the most part hamsters, gerbils, and other rodents are much easier to care for and the regulations around them are less strict. However, that doesn’t at all mean that they won’t need occasional visits to the vet just like a cat or dog. They may also require specific materials in their enclosure and of course they will need regular cleaning. Some rodents are pretty good at cleaning themselves and keeping their eyes, mouths, and noses clear of debris, but others may need a little assistance. Just like with snakes or birds, you should learn how to handle your animal expertly to avoid any accidents or potential injuries to you or your pet (or visitors). Some rodents prefer to be in an enclosure most of the time, but others may want and need to socialize and run around outside of their cage a fair amount of the time. You’ll also need to make sure that you buy the right type of food for their breed and lifestyle. Some rodents are great with treats, like fruit and vegetables, but others must be on a much more strict diet of nuts and seeds etc. Travelling with more rare species of pet rodents (such as rabbits, ferrets, chinchillas, and more) can be another difficult task. Again, you’ll always need to check and make sure that the pet that you own is legally allowed in the state or country you plan visiting. However, rodents are some of the more lenient species to own. In most states, animals like hamsters, mice, rats, gerbils, rabbits, guinea pigs is fairly easy. Although, it’s still always a good idea to cover your bases. Animals like mice and rats may not be allowed in certain states or countries, especially if you plan on breeding them. Sadly, these animals have developed somewhat of a bad wrap for carrying potential diseases, so you’ll also want to make sure that your animal is always up to date on vaccinations and proper checkups before you take them anywhere. As with any animal, your pet may require additional assistance and attention as they age. This is something you’re undoubtedly want to be aware of before you buy any pet. However, you’ll also want to be aware of specific ailments that you might find in your particular breed of pet once you bring them home. Since pets may develop health issues as they age, it’s a smart idea to think about getting your pet insured from a young age. Pet insurance will cover any emergencies or accidents that may happen to your pet as well as general wellness visits to the vet. Although, not every pet insurance plan is created equally. There are pet insurance plans out there that cater specifically to exotic or unusual pets. Make sure that you know your pet’s health needs and discuss that with your insurance provider as well as your vet. Pet insurance is commonly very easy to sign up for, quite cheap, and will save you a lot of stress and money down the line. Finding the perfect medical team for your pet is essential for any animal owner. Yet, it can sometimes be difficult for those who choose to own exotic pets. The vast majority of pets in the United States are cats and dogs, so many vets will naturally be used to caring for them. Some may be more willing or capable of treating exotics than others, and that’s something you’ll want to know before your pet needs veterinary care. If you’re thinking about getting an exotic pet, it’s a good idea to ask around and be prepared to compare a few vets before you settle on one. Call around to local pet stores for recommendations, check online for local advice, and even call to nearby vets to see what their thoughts are. Don’t be afraid to ask about their expertise as it relates to your breed of pet. Vets all want the same thing — the best possible care for your animal, so they’ll often times refer you to the person with the most experience that they know of. Asking questions is always a good thing. 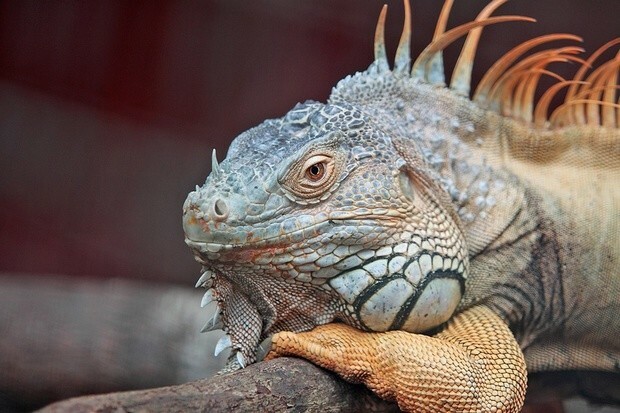 Because exotic pets are, by definition, less common, you may need to find a specialist to care for your pet, rather than going to a general veterinary doctor. Unfortunately, this can mean paying more for even routine visits. Depending on who is available in your area, it may be worth purchasing pet insurance or a specialized pet wellness plan for your exotic pet just to ensure you can access a specialist qualified to treat their species. If you’re thinking about getting an exotic or unusual animal, first make sure that they’ll be a good fit for your home and your neighbors, then you can think about things like pet insurance and a good vet. Always make sure that you are informed about how to properly care for your animal and what health problems they could develop. From there, being educated about things like breeding and travel will make your life so much easier. If you do choose to bring a non-traditional pet home, you’ll feel confident knowing that you did your research and are prepared to give them the best possible life they could have. Enjoy your new companion! Are Pet-Nups the Prenup of the Future?